Another item on my “Before the end of 2013, I will finish…” is completed! 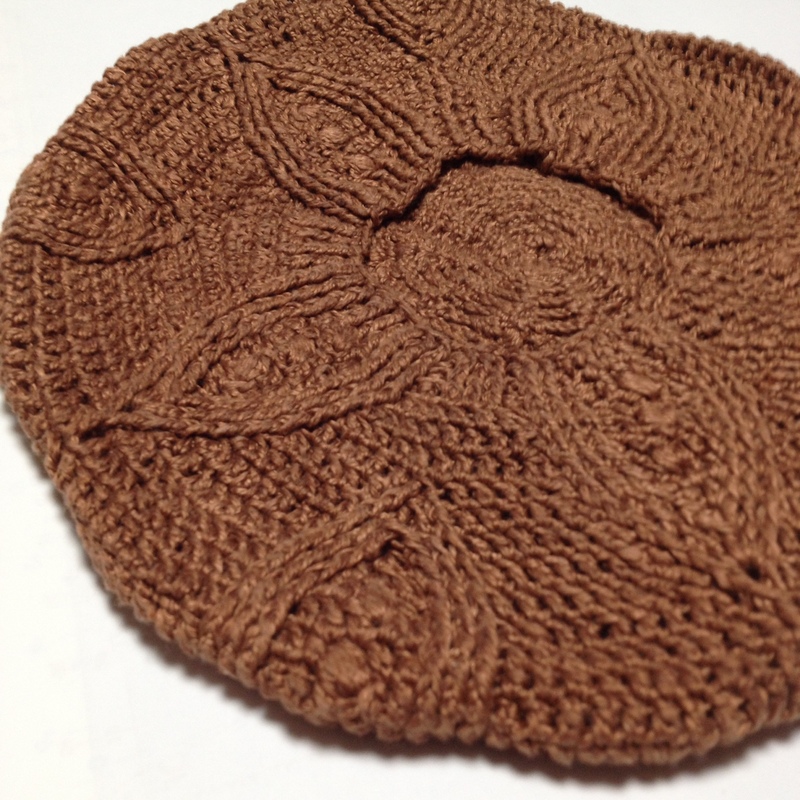 During the Tokyo Yarn Crawl, I picked up a lovely milk chocolate brown lace yarn with a coppery sheen from Avril to crochet the Pizzelle Beret by Linda Perlmann. This is one of the first patterns I’ve done that isn’t charted so I was off to a difficult start. 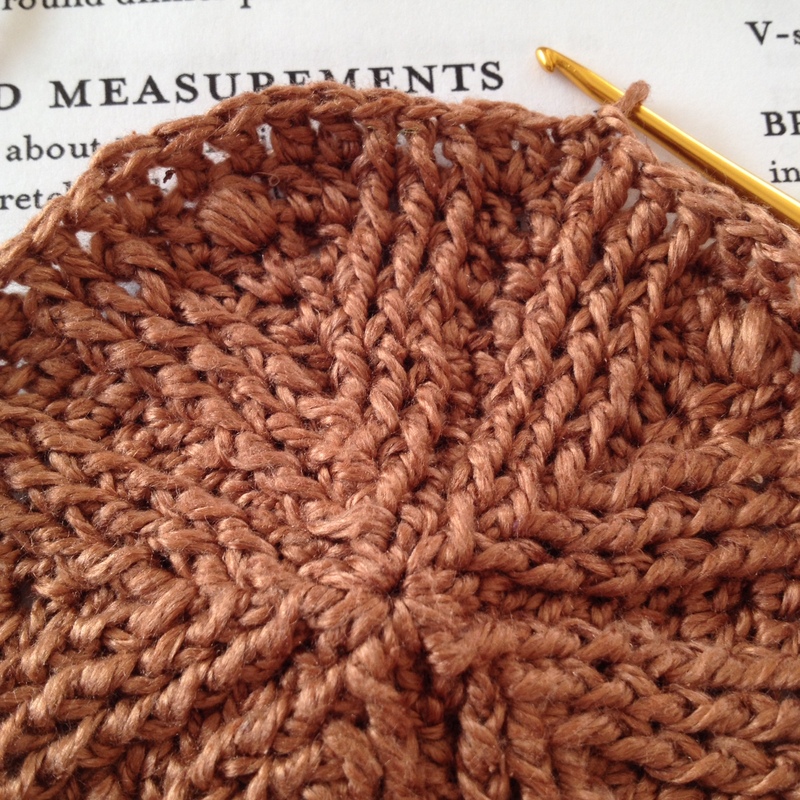 Despite the well written pattern, my counting incompetence made it a challenge as I mentioned in this progress post. 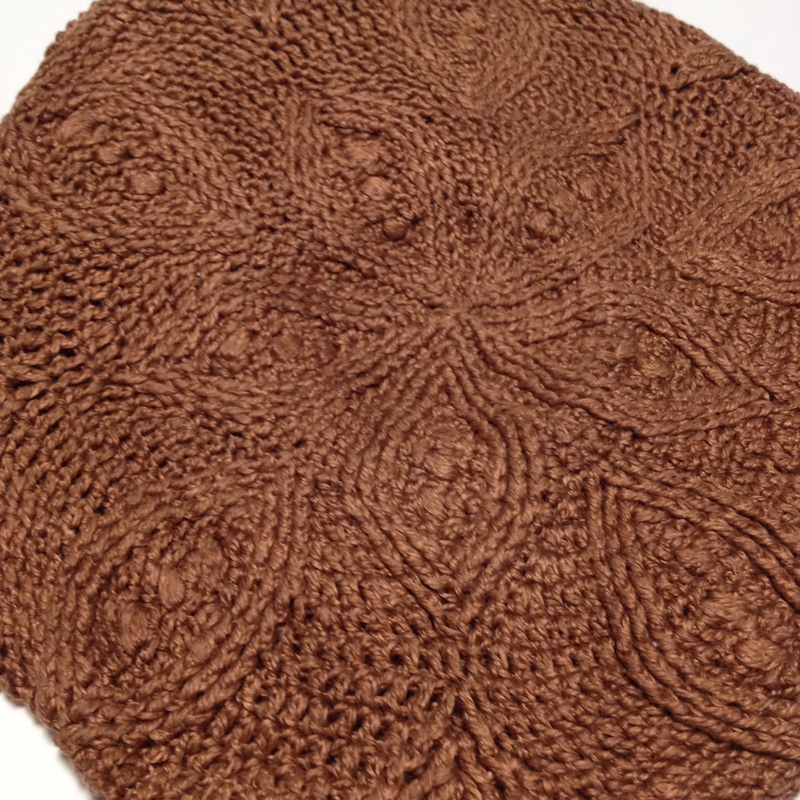 I’m calling this oops the Sand Dollar Variation as having only 5 ‘petals’ instead of the 6 as called for in the pattern. Because of my earlier Oops, Row 38, the first row of the headband, became the most difficult area to complete. I just needed to adjust the pattern for the Sand Dollar Variation but it was easy to see where the pattern maker wanted to go with it. After all the unintentional pattern modifications, the few intentional modifications and the quick thinking to finish it off as recommended by the pattern it came out beautifully. Exactly as I had hoped and (almost) exactly as pictured. Hey! What’s this button do? Congrats on checking off an item off your list! Only a few more weeks in December left. I still have a few items on my December list I need to tackle….